L'Oreal Paris Balmain Limited Edition Color Riche Matte Lipstick - 56 Confidence. L'Oreal Paris Balmain Limited Edition Color Riche Matte Lipstick - 468 Liberation. 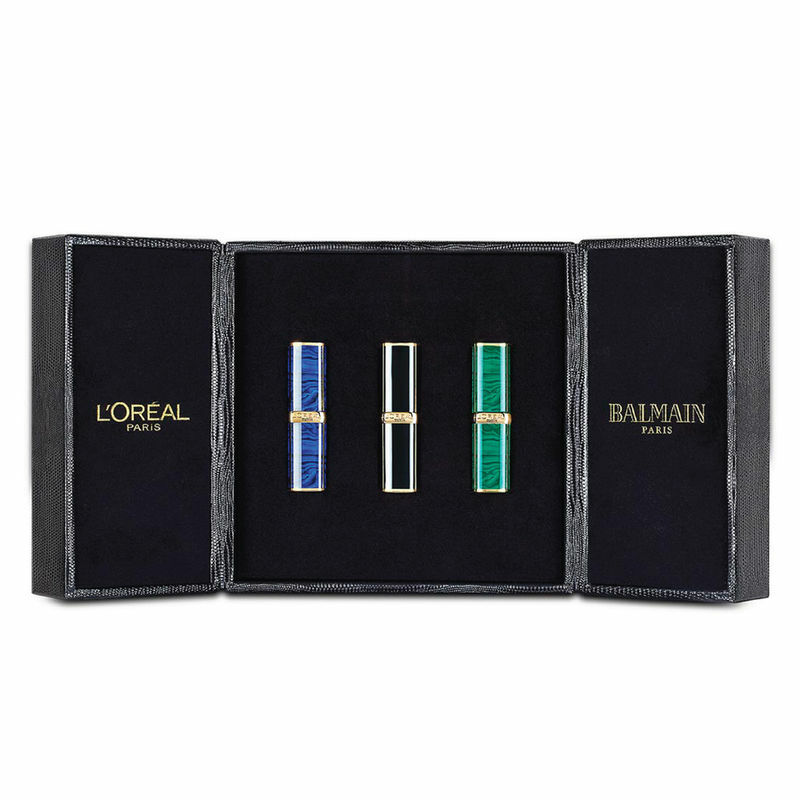 L'Oreal Paris Balmain Limited Edition Color Riche Matte Lipstick - 650 Power. 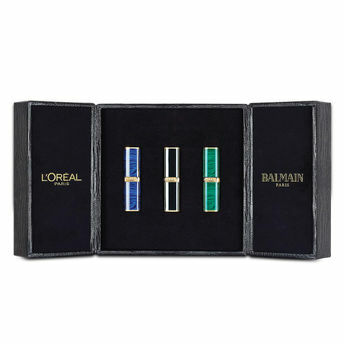 L'Oreal Paris X Balmain Color Riche launches its first limited-edition collection of 12 tailor-made designer lipsticks. Uncover edgy, matte shades encased within an exclusive pack, designed by Olivier Rousteing.These fabulous lipsticks designed to embody three femininities: Safari, Rock & Couture. Lipstick shades for every woman- no matter her origin, no matter her tribe. Infused with goodness of pure pigments and Camelia oil. Settles to a moisturizing matte finish. Available in 12 gorgeous shades.